Just in time for winter! 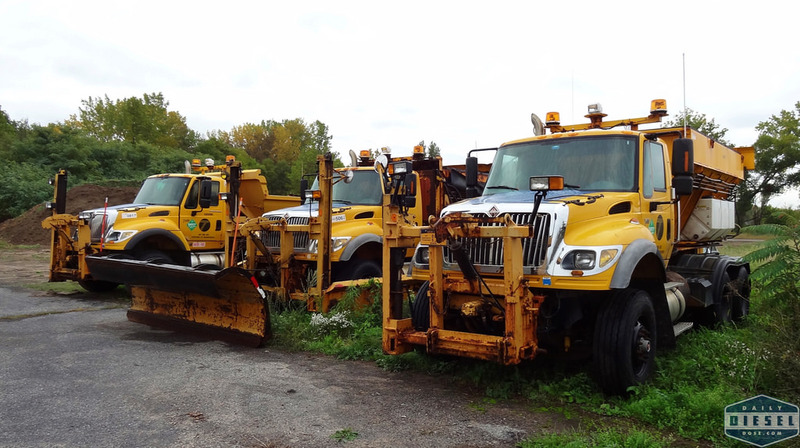 New snow plows for the New York State Department of Transportation. Stopping by a surplus auction earlier this month I couldn’t help but grab a few shots of the new trucks lined up and waiting for delivery to their respective locations. As discussed before International and Viking wrestled the contract away from Mack and Henderson for the next three years for what is multimillion dollar contract. International N13 diesel engines with SCR and automatic transmissions complete the most basic setup of these new trucks. Despite so many of these being housed at the Region 3 HQ I have yet to see these be distributed to the local barns across the area. If anything, the Macks seemed to have been contracted in the CNY area from other locations. Of course, this is just my layman’s view. Hanging around with the new Internationals were some older 02 or 03 models as seen in the gallery below plus one single axle Mack. 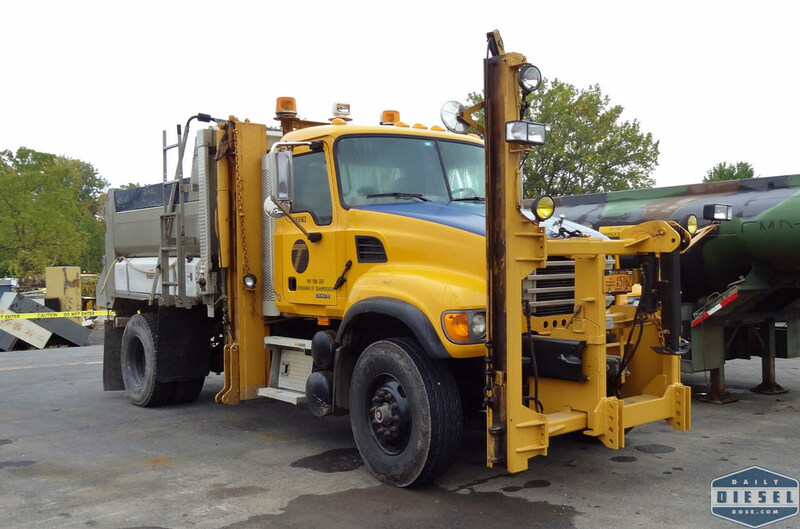 With snow starting to fall this very morning it only seems fitting that for the rest of the week we’ll be talking plows both old and new. Fun! 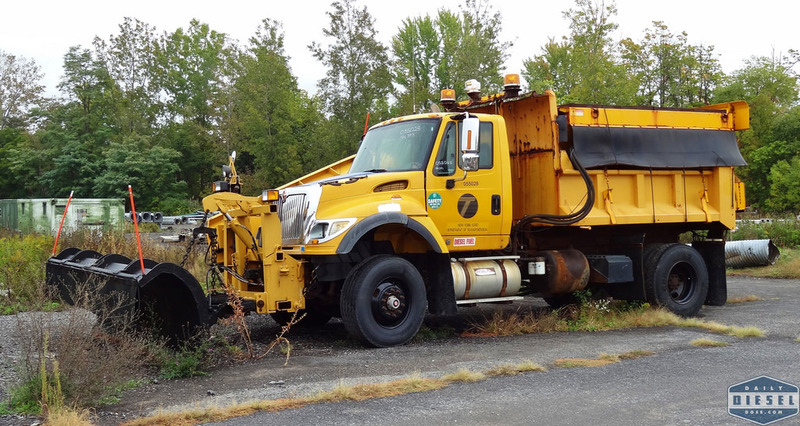 This entry was posted in Snow Plows and tagged international workstar, nysdot, snow plow, viking cives. Bookmark the permalink. Bring back the S series!!!!! Putting a Cummins in an International is really just putting lipstick on a pig, or trying to polish a turd. 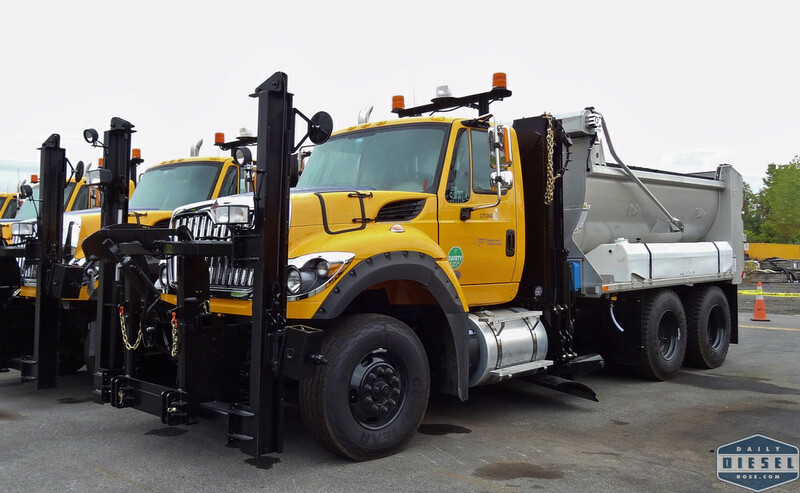 What would have been interesting is if Mack and Viking teamed up to build plow trucks for the contract.